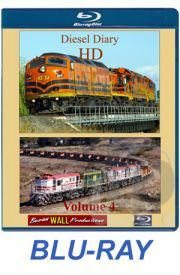 “Diesel Diary HD” volume 6 contains 90 minutes of stunning high definition footage recorded from 2005 through to 2016 illustrating a huge variety of diesel locomotives operating throughout NSW. 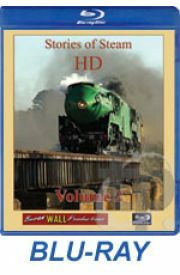 Witness the transition from the use of ageing C class locos to brand new PHC class units on..
“Stories of Steam HD” volume 5 contains 95 minutes of stunning high definition footage recorded over ten years from 2006 to 2016 showing steam locomotives hard at work in NSW. Highlights include: 6029 storming up Tumulla bank with trips from Bathurst to Newbridge in June 2016 .. This special edition of Diesel Diary contains three hours of non-stop action recorded during a second visit to British Columbia in May 2018. 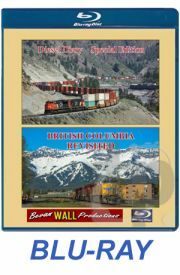 We spend the month exploring the Canadian Pacific & Canadian National Railroads running along the sides of the Thompson River through spectacular gorges..
"Diesel Diary HD" volume 5 contains 90 minutes of high definition footage recorded from 2005 through to 2015 illustrating a huge variety of diesel locomotives operating throughout NSW. Witness an astonishing range of locomotive combinations on LVRF’s train no.4168 attacking Cowan .. 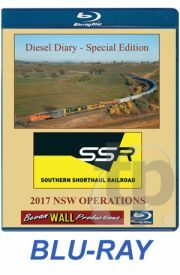 This special edition of Diesel Diary contains 127 minutes of stunning high definition footage illustrating a range of spectacular locomotive combinations working hard on Southern Shorthaul Railroad operations in NSW during 2017. During the winter of 2017, SSR embarked on an intensive program of g.. This special edition of Diesel Diary contains 90 minutes of non-stop action recorded during visits to the USA to witness a range of railroad operations. The stunning high definition footage has been shot to showcase not just the trains featured but also the spectacular landscapes that the railway.. 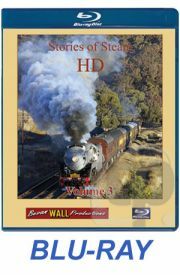 Stories of Steam HD volume 4 contains 90 minutes of stunning high definition footage recorded over ten years from 2006 to 2015 showing steam locomotives hard at work in NSW. 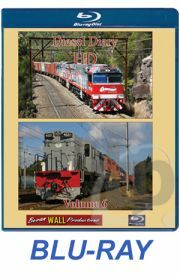 Highlights include: 3801 painted in the unusual, temporary “Grey Nurse” livery hauling trips to Gosford i..
“Diesel Diary HD” Volume 4 contains 90 minutes of high definition footage recorded from 2005 through to 2014 illustrating a huge variety of diesel locomotives operating throughout NSW. Witness C class locos, including C501, hard at work hauling grain and coal on the main south and spe..
"Stories of Steam HD volume 3" contains 90 minutes of stunning high definition footage recorded over ten years from 2006 to 2012 showing steam locomotives hard at work in NSW. 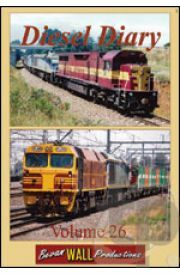 Some of the highlights include: 3526 & 3642 double heading to Goulburn; SMR10 & SMR18 working to ..
"Diesel Diary HD Volume 3" contains 95 minutes of high definition footage recorded from 2005 through to 2014 illustrating a huge variety of diesel locomotives operating throughout NSW. Sensational footage includes triple Cs , Ls and CLPs on the main west; triple Xs on the last Bome..
Streamliners 2016 was held in the Goulburn roundhouse over the October long weekend to celebrate 65 years of streamliner diesel operation in Australia. 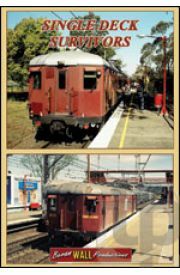 A variety of locomotives from the 42, 44, 421, B, S, GM & CLP classes in a diverse range of liveries converged on Goulburn to be displayed ar.. 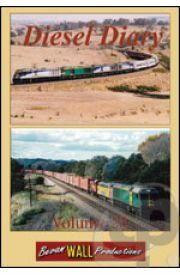 Recorded from 2001 to late 2002, “Diesel Diary - 29” continues the theme of illustrating a wide range of diesel locomotives working in a variety of locations in NSW. Highlights of this video include: 4716 & GM22 working to and from Blayney hauling an LVRF container train. .. 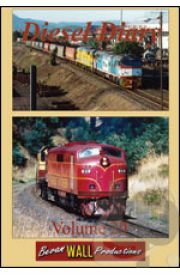 Recorded over five years from 2001 to 2005, “Diesel Diary - 28” continues the theme of illustrating a wide range of diesel locomotives working in a variety of locations in NSW. Highlights of this video include: Quad ELs hauling a fascinating mixture of carriages from Junee to Sy.. 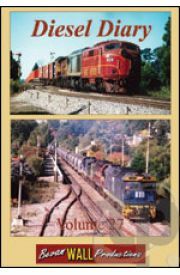 Recorded over eight years from 1996 to 2004, “Diesel Diary - 27” continues the theme of illustrating a wide range of diesel locomotives working in a variety of locations in NSW. Highlights of this video include: An extremely busy day on the short south featuring an amazing diver.. 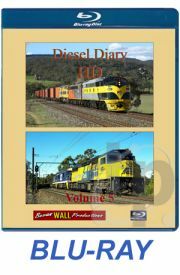 Recorded over five years from 2001 to 2005, “Diesel Diary - 26” continues the theme of illustrating a wide range of diesel locomotives working in a variety of locations in NSW. A significant portion of this video focuses on the use of ex NSWGR 422 class locomo-tives by private opera.. 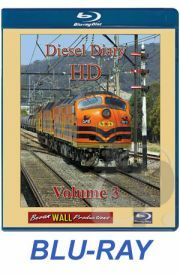 Recorded over four years from 2000 to 2004, “Diesel Diary - 25” continues the theme of illustrating a wide range of diesel locomotives working in a variety of locations in NSW. Highlights of this video include: NRR 421s blasting through the scenic Gloucester region. 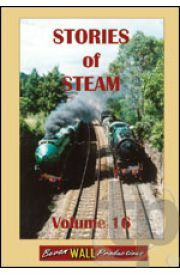 EL63 runni..
“Stories of Steam - 17” presents spectacular scenes of NSW steam locomotives in operation. Highlights include: 5910 running through the scenic Illawarra region in May 1993 and later storming up Cowan bank in June 1998. 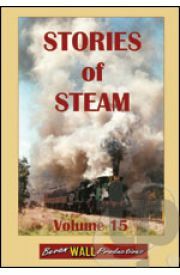 3112 with a tour around the now closed Sydney goods line i..
“Stories of Steam - 16” presents spectacular scenes of NSW steam locomotives in operation. Highlights include: 3830 storming over the Blue Mountains in beautiful clear winter light in June 1999. 1210 & 3016 with the inaugural train to Michelago in April 1993. 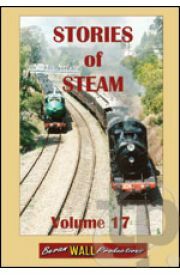 2705 & ..
“Stories of Steam - 15” presents spectacular scenes of NSW steam locomotives in operation. 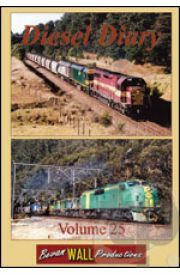 Highlights include: 3112 hauling shuttles between Lithgow and Wallerawang in October 1991 and then double heading with 3801 on “The Cockatoo Run” in August 2003. 5910 & 3.. 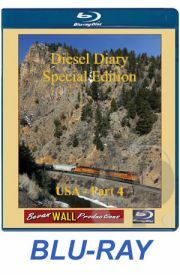 This special edition of Diesel Diary contains 108 minutes of non-stop action recorded during visits to the USA to witness a range of railroad operations. First stop is Mullan Pass to experience huge trains being banked by Montana Rail locos over this spectacular mountain pass. 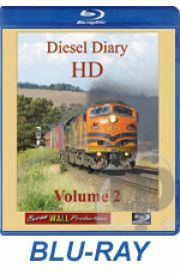 We then explore ..
Diesel Diary HD Volume 2 contains 100 minutes of high definition footage recorded from 2005 through to 2014 illustrating a huge variety of diesel locomotives, including members of the 44, 45, 47, 48, 49, 422, 81, G, X, T, L, AN, GM & CLP classes operating throughout NSW. Multi-liveried c.. 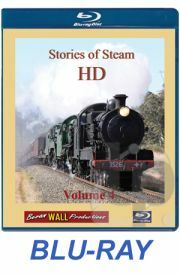 Stories of Steam HD Volume 2 contains 100 minutes of stunning high definition footage recorded over ten years from 2005 to 2015 showing steam locomotives hard at work in NSW. Some of the highlights include: 3801 & 3830 double heading to Moss Vale via the steep grades from Unanderra.. This video contains 80 minutes of now historical footage of the single deck Sydney suburban electric trains that survived the general withdrawal of this type of rolling stock early in January 1992. Commencing with views of these trains on their last day of widespread service on Friday 10th January 1..